NO VERBAL CONFIRMATION WILL BE GIVEN, THIS MUST BE IN WRITING. These services include Item is sold as pictured. 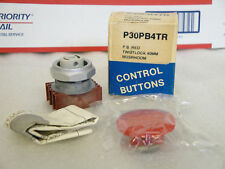 Switch type rotary with key. 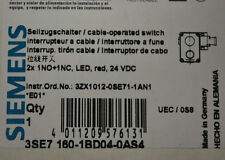 Switch standard 22mm. Switches features the key can be removed at 0 position. Button shape prominent. Switch: rotary with key; 2-position; 22mm; silver; Illumin: none. 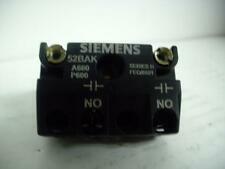 Switch standard 22mm. 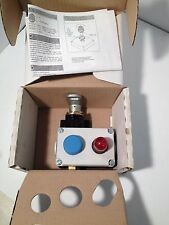 Type of switch rotary with key. Illumination none. Actuator colour silver. Switches features the key can be removed at 0, I position. 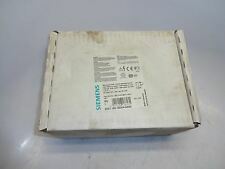 This is a New in Box Siemens 3SE7160-1BD04-0AS4 Cable-Operated Switch - 3SE71601BD040AS4 Some boxes are dirty, cleaner boxes will be sold first Location 15B. ~BLANK SILVER~. ~BAG IS IN POOR CONDITION~. 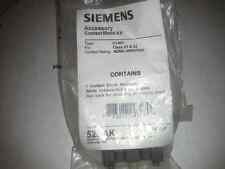 This Auction Is For 1 Siemens 3SB03-TT1 Red 120vac Illuminated 30mm Press To Test Light Pushbutton New. SELECTOR SWITCH. HEAVY DUTY KNOB. 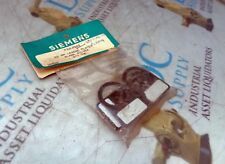 SIEMENS 52BAK CONTACT BLOCK SERIES H QUANTITY!! Great condition, Pulled from a working application, Untested. PB7 SWJ.